Medical practice support intends to provide important complementary information for diagnosis by preprocessing voluminous data available on separate, distributed, commonly noninteroperable applications of complex existing medical information systems. Such technology is being investigated to support medical encoding, which manually identifies groups of patients with equivalent diagnosis to determine healthcare expenses, billing, and reimbursement. Medical encoding is expensive, takes considerable time, and depends on multiple scattered and heterogeneous data sources. 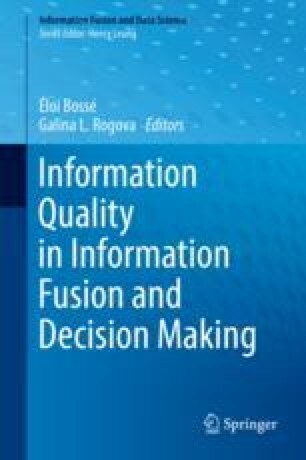 This chapter summarizes some relevant approaches and findings that illustrate how the considerations of information quality and analytics technologies may enable to improve medical practice. Essential components of a conceived medical encoding support system are described, followed by the associated data analysis, information fusion, and information quality measurement. Results show that it is possible to process, generate, and qualify pertinent medical encoding information in this manner, meeting physicians’ requirements, making use of data available in existing systems and clinical workflows.